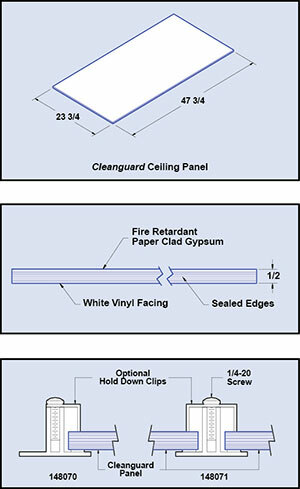 Cleanguard Panels feature factory sealed edges, white vinyl face and sealed top. The surface is durable and can be cleaned easily with a damp sponge. Weight of the panel (15 lbs.) is sufficient to hold panels in place against room static pressure of typical cleanrooms without the use of supplementary hold down devices. Optional hold down clips are available for high pressure rooms. 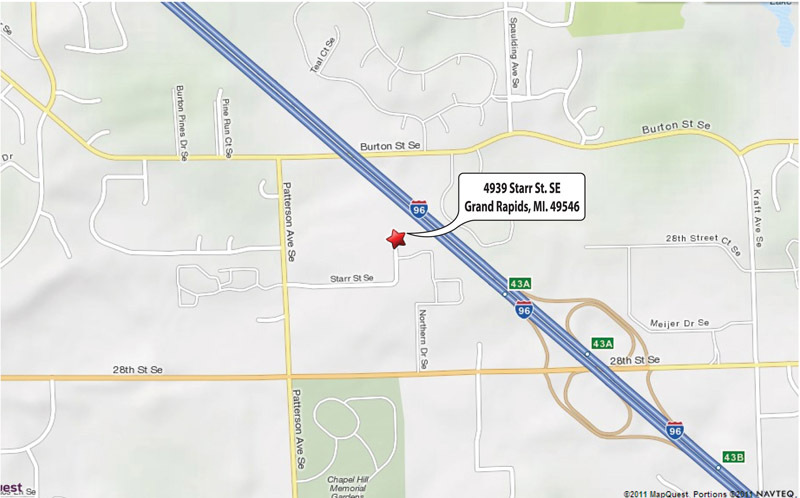 Ceiling Attenuation Class (CAC) previously known as Ceiling Sound Transmission Class (CSTC) is 45-49 when tested with ASTM E1414. Light reflection is LR1, thermal resistance up to R-O .45. 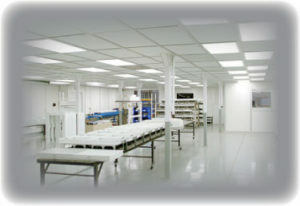 Cleanguard Ceiling Panels are sized for installation in a standard exposed cleanroom grid system. Closed cell, low density gasketing should be used to prevent leakage. If panels are to be cut, raw edges should be sealed with a recommended sealant such as Benjamin Moore Regal Latex Primer, #21600.